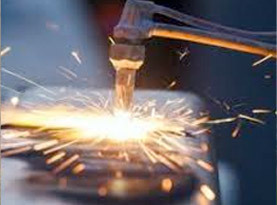 Bowtie Tony’s Welding, a fully licensed, insured, and ASME certified company, provides a number of welding services to the residential, commercial, and industrial customers throughout Denver Metro and Northern Front Range, Colorado region. Our technicians are among the elite, having the skills and experience to deliver quality results. Bowtie Tony’s Welding properly maintains the equipment to ensure efficiently execute results that are of superior quality. We know the best asset is our customers and strive to exceed your expectations for recommendations and return business. 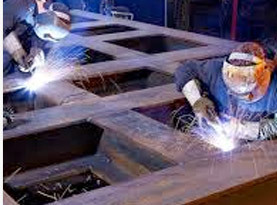 Bowtie Tony’s Welding includes structural welding services for homes, businesses, and industrial properties in the Denver Metro and Northern Front Range, Colorado region. Our structural welders cut, erect, join and repair base metals, beams, columns, girders and other structural components to form complete frameworks or structures. With our team of experienced professionals, you can turn to Bowtie Tony’s Welding for high-quality structural steel welding services and we get it done in a timely manner. 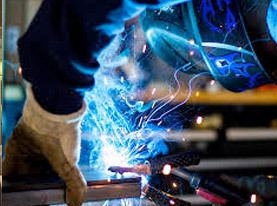 We can take care of all your structural welding needs from on-site welding to moment connection welding and so much more. Our capabilities range from field measurements and detailing to fabrication and erection, enabling us to handle the complete project or any portion of it as required. We are readily available to take on your customized welding needs and with our expertise and high-end equipment, Bowtie Tony’s Welding delivers exceptional work. 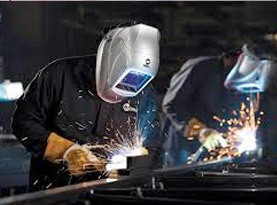 No matter what your Denver Metro and Northern Front Range, Colorado region residential, commercial, and industrial structure needs are, the leading professionals of Bowtie Tony’s Welding can accommodate. With decades of experience, Bowtie Tony’s Welding can get the structural welding completed to maximum quality. Call us today to make your appointment with a trusted professional team of Bowtie Tony’s Welding today!